Thorverton Stone was established in 1990 to specialise in the manufacture of bespoke architecturally designed cast stone and more standard items of concrete mouldings. Their client base has grown considerably over the years and includes companies from all sectors of the building industry, as well as individual customers. 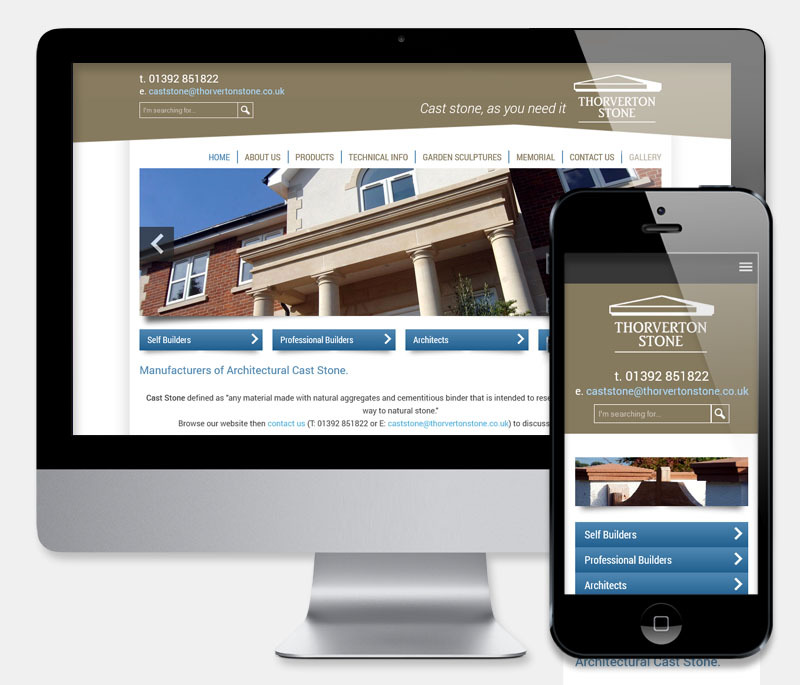 When the time came to update their website, loyal clients Thorverton Stone were keen to re-commision us again, to create a new site, utilising the latest CMS technology. The creation of a completely new site, based on the latest version of Drupal, ensured that the new website is as user friendly as possible. Not only are the many products and information pages far easier to edit and maintain, but the inclusion of many new features guarantees that the new site will be future proof for many years to come. With a brand new fully responsive 1080 layout, multiple galleries and advanced search facililty, it was a straightforward task to port and update the many existing products as well as adding entire new sections.